Village Manager David Fieldman has announced the appointment of Stan Popovich, AICP, as the new Director of Community Development. 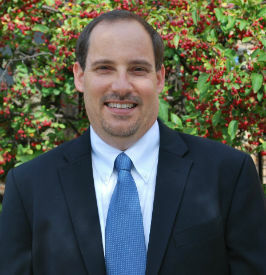 Mr. Popovich has 18 years of public and private sector experience as an urban planner and historic preservation planner. He is licensed by the American Institute of Certified Planners (AICP) and holds a Master's Degree in City and Regional Planning from Ohio State University. Prior to starting with the Village in 2006, he gained nine years of planning and historic preservation experience at Hardlines Design Company in Columbus, Ohio. He began serving as Planning Manager in May 2014 and since then has participated in the planning and development of over 300,000 sq. ft. of new construction in the Village. The successful high profile projects he's worked on include the new Art Van Furniture store, the American Society of Gastrointestinal Endoscopy Headquarters, Midwestern University Clinics, Advocate Good Samaritan Hospital's 96-bed private room tower and Fresh Thyme grocery store. In addition, he has also played a key role in recent discussions on revisions to the Village's Historic Preservation Ordinance after having spent considerable time managing Downers Grove's extensive Historic Building Survey in 2013. According to Manager Fieldman, Popovich's historic preservation background and increasingly progressive experience as a planner make him aptly suited for this position. "Stan has taken a leadership role in the recent discussions to revise the Village's ordinance and played an integral role in completing the Historic Building survey. We have also benefited greatly from his technical expertise as a planner on major projects like the new Fresh Thyme store," stated Manager Fieldman. "I am looking forward to working with the community on upcoming projects like the Comprehensive Plan update and carrying on Downers Grove's balance of tradition and progress," Mr. Popovich said. The appointment of Mr. Popovich as Director of Community Development is effective immediately.